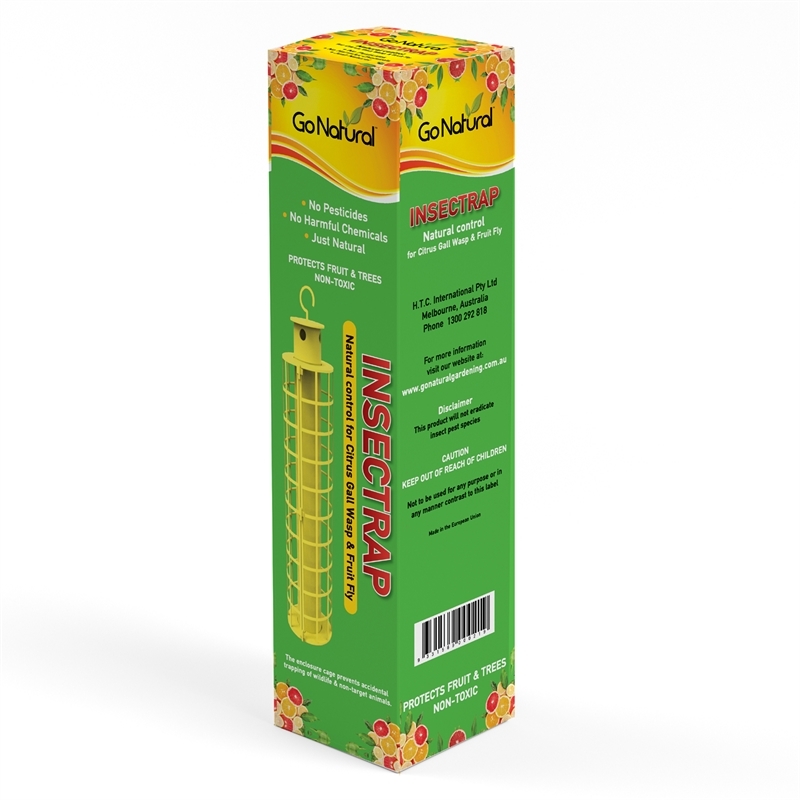 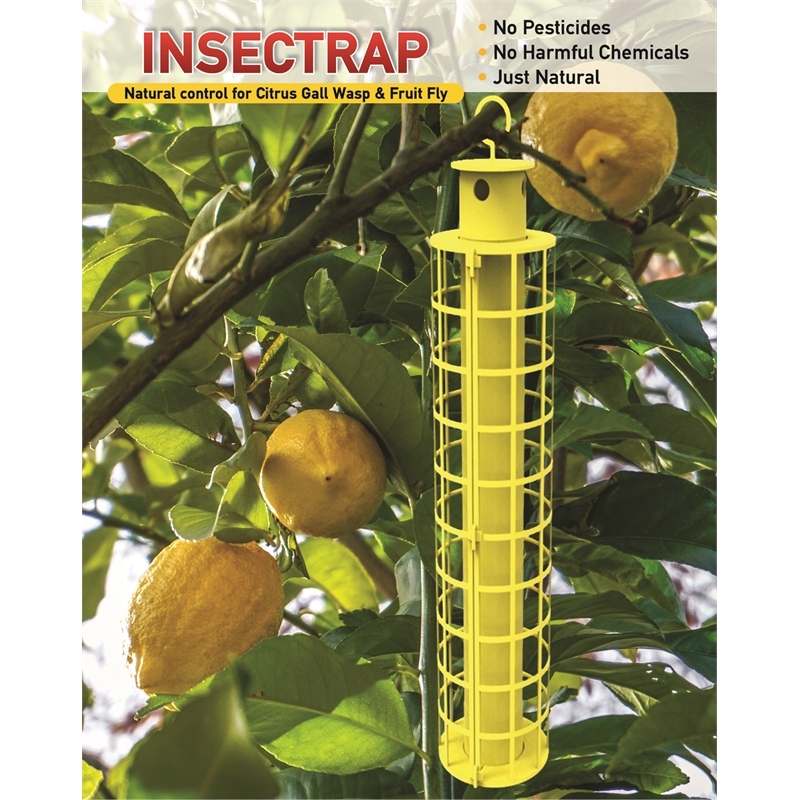 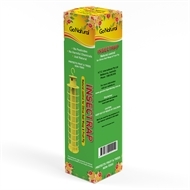 The Go Natural Insectrap protects fruit and trees from damage caused by the Citrus Gall Wasp and Fruit Fly (including Mediterranean fruit fly). 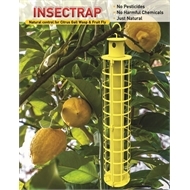 It will also trap Whiteflies, Aphids and Thrips. 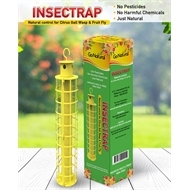 It attracts these pests to its glue field and permanently traps them. 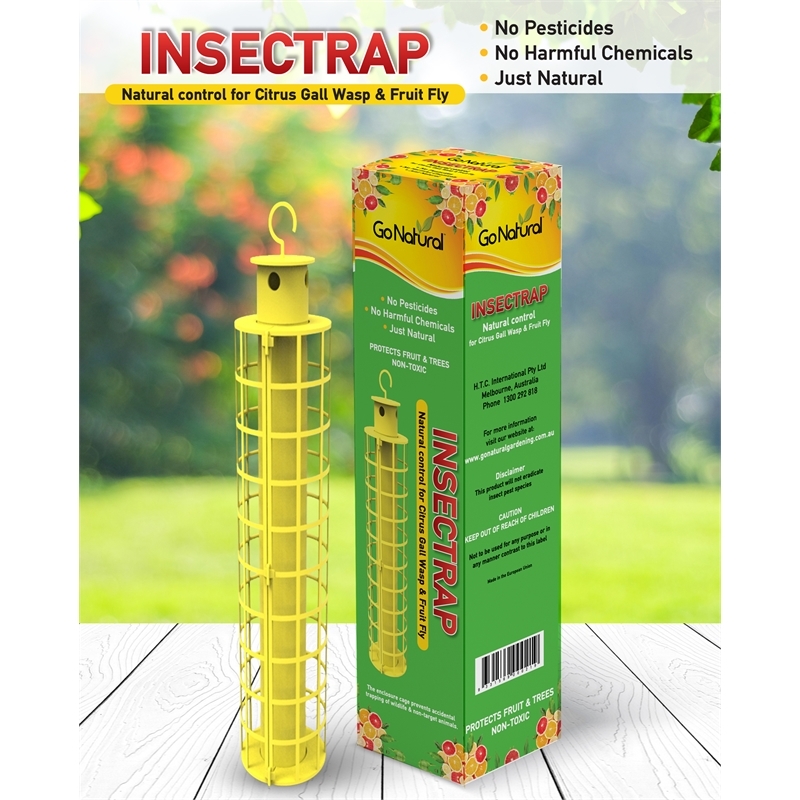 The enclosure cage prevents accidental trapping of wildlife and non-target animals.